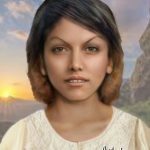 Sheep Flats Jane Doe was a woman found shot to death near Lake Tahoe in Nevada in 1982. Her nickname originated from the fact that she was discovered in the Sheep Flats area outside of Mt. Rose on a hiking trail. When discovered, there were two sets of foot prints leading to the scene from the parking area, and one set returning. No one had seen her in the Tahoe area in the days before her body was found. An autopsy has shown that her last meal was a salad. She was originally believed to be from Europe due to inoculation scars on her arm and her dental work. An independent dental examination in 2010 has discredited this original assumption. She was dressed for a day at the lake: jeans and t-shirt over a blue bathing suit. Upon close forensic inspection, it was determined the t-shirt was sold only on the West Coast, leading investigators to believe she may have visited or had been residing in one of the western states before her murder. Sheep Flats Jane Doe is currently buried at Our Lady of Sorrows on North Virginia Street in Reno, NV. In July 2018, DNA Doe Project announced Sheep Flats Jane Doe had been tentatively identified; in September her identity was confirmed by the Washoe County Sheriff’s Office. The Sheriff’s Office is withholding further information due to the ongoing homicide investigation. Many thanks go out to all who dedicated their time and energy to identifying Sheep Flat Jane Doe, both those in law enforcement and the DDP volunteers. It took the coordinated efforts of many individuals with diverse skills working many hours to finally uncover the identity of this unfortunate young woman.